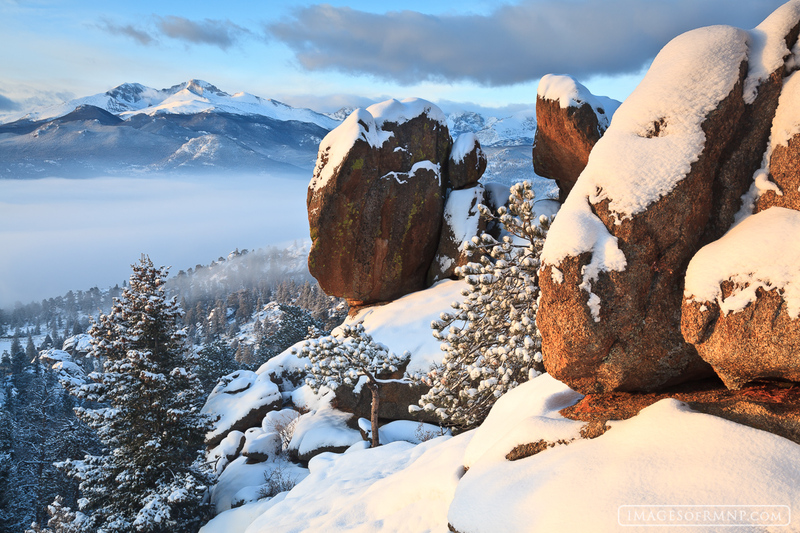 A beautiful morning on Lumpy Ridge following a snow storm. Longs Peak stands in the distance covered in a fresh coat of snow as low clouds cover Estes Park. Photo © copyright by Erik Stensland.